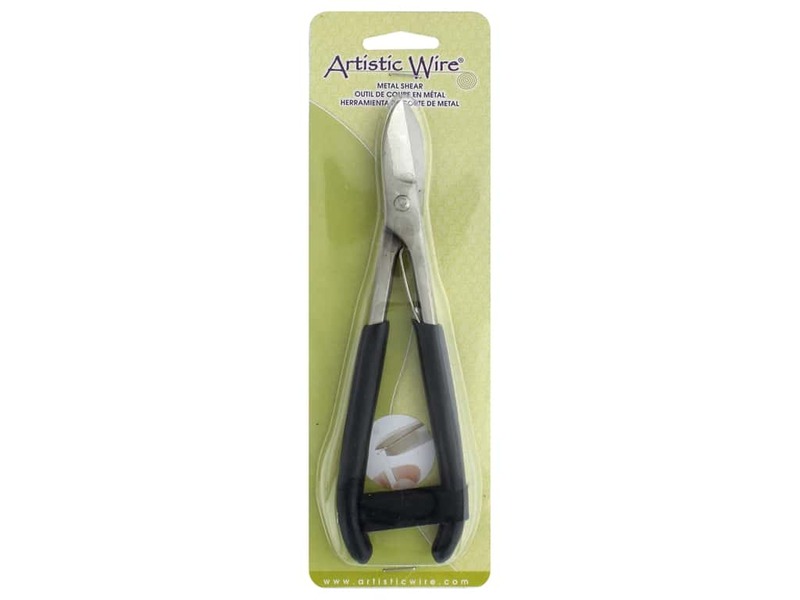 Description: Artistic Wire Metal Shear- Cut through soft metal sheet and flat wire with ease. After cutting. To smooth the cut edges use ATW13651 Triangle Needle File, sold separately. Coated handles for comfort. Measures approximately 7.25 in.